Research papers about Russia discuss the country above Asia and to the East of Europe. Research papers about Russia discuss the country above Asia and to the East of Europe. 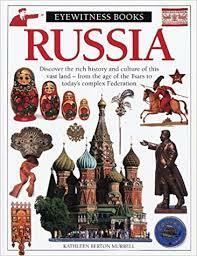 With large mineral resources, oil and natural gas production, Russia played an important role in world history. Below is a list of research paper topics on Russia and the former Soviet Union, since Russia was the largest constituent of the Soviet Union. Paper Masters allows you to order research on Russia and our professional writers will write a Russian history project for you to use as a sample. The policies of Stalin, the leader of the Soviet empire during, and following World War II, concentrated on the preservation of Soviet dominance and intimidation throughout the world. The area of control that the Soviet Union held, outside its own borders became known as the Iron Curtain. The stand that the United States took against this sphere of control led to the increased tensions between the two nations. The Marshall Plan, the plan drafted by America to rebuild Europe following the vast destruction it suffered during the war, was seen by the USSR as a “crude deployment of economic power for the purpose of political interference in European affairs”. This separation of ideologies increased the tension between the United States and the USSR – becoming one of the principle causes of the Cold War. The changes in leadership of the Soviet government over the mid-century decades, did not serve to lighten the relationship between them and the United States. The roughly, six year, flash-point cycle of hostility that the world saw during this time, inevitably saw the United States pitted against a puppet state of the USSR – the wars of “containment”. Conflicts in Korea, Cuba, Vietnam and elsewhere, all involved the United States and, at least in support, the USSR. By the 1980s, the USSR was weakening, and the new government, under Mikhail Gorbachev attempted to save it from collapse through sweeping reforms. However, by 1986, the collapsing of oil prices, energy crises and the catastrophe of Chernobyl created a situation where no changes could be affected without first drastically redefining the political landscape of the Russian government. (Tompson 86) Even with this ideal in mind, though, the task of saving the USSR was futile. The incredible strain that the Cold War had put on the territories under Russian control, coupled with the mounting pressure to release the European nations from the “Iron Curtain”, caused the collapse of the Soviet Empire. Beginning with the fall of the Berlin Wall in 1989, and the subsequent coups throughout the Russian Border States, Communist Russia fell in 1991. The economic, political, and interpersonal stresses that had accumulated since the end of World War II, created an insurmountable wave of dissemination throughout the Soviet Empire. Its fall, marked the end of the Cold War, and assumed victory of the United States, and the concept of Democracy over that of Socialism, and Communism. Russia has set some goals and met them successfully on the road to economic reform. But I would argue that any steps the Russian government takes pale next to the painful legacies of communism and the power of international economic forces. President Boris Yeltsin’s reformers met their goal to achieve 80 percent privatization and a stable ruble by 1996. But experts disagree on where things went wrong after that: whether analysts who pushed hard for free-market “shock therapy” are to blame for the subsequent problems, or whether the problems were inevitable given the post-communist legacy. “...Mr. Yeltsin’s false democrats, aided and abetted by the U.S. government and the IMF, have foisted on Russia an alien free market policy that is destroying the country. Western social science legitimizes this policy with the arrogant thesis that he entire world is destined for modernization, American style”. The new Russia is increasingly integrated into the world economy. It has worked with the International Monetary Fund to enact reforms and devalue the ruble in exchange for large loans, and tried to lure foreign investment. It had inflation under control in 1997. Yet “(economists) stress that Russia’s change of fortune has little to do with economic developments within Russia – and everything to do with global capital markets” (Gordon). This proved true in 1998 when the Russian economy nearly collapsed during the Asian economic crisis. Output dropped 4.6 percent. Exports (especially of oil) plummeted and the government ran out of money. Russia stopped payment on $40 billion in ruble bonds. Inflation was 84 percent that year and the economy contracted 5 percent, plunging a total of nearly a third of the country’s population under the poverty line. The IMF bailed Russia out in exchange for a commitment to take severe austerity measures. Banking took a hit the next year, with nearly half of the country’s 1,500 institutions sliding into bankruptcy. “The pressure on banks is immense. Much of the foreign debt of banks, as well as the government and private firms, was dominated in hard currency. As the ruble fell, buying the dollars and Deutschmarks to service the debt got ever more expensive.... Meanwhile, the government also defaulted on its own debt, refusing to honor its repayment commitments on GKO treasury bonds to both foreign and domestic bond holders”. In 1999 output increased for only the second time since 1991, estimated at 3.2 percent. How? Oil prices tripled in the second half of 1999, raising he export surplus to $29 billion. Again, Russia’s fortunes were at the mercy of international markets. On the negative side, in 1999, inflation rose to an average 86 percent, compared with 28 percent average in 1998. Wages fell about 30 percent and pensions fell about 45 percent. Long-term problems continue: The Putin government has put a priority on paying wage and pension arrears. Russians’ capital flight, reliance on barter transactions, widespread corruption among officials and endemic organized crime scare away domestic and international investors. Barugi Administration - Barugi Administration Research Paper evaluates the replacement government system for the Baskaki system. Baskaki Administration - Baskaki Administration Research Paper delves into the government system that the Mongols used. Boris Yeltsin - Boris Yeltsin Research Paper researches his life as the leader of the Russian Soviet Republic. Charlemagne - In 768, Charlemagne assumed the throne. Commonwealth of Independent States - Commonwealth of Independent States research papers examine the loose political organization that consists of former Soviet Republics. Gorbachev - Research papers on Gorbachev examine the eighth and final leader of the Soviet Union through the late 1980s until 1991. Ivan the Terrible - Ivan IV, also called Ivan the Terrible, was the Grand Prince of Russia in the 16th century from the years 1533-1584. Joseph Stalin - Joseph Stalin custom writing on the dictator of the Soviet Union from the mid-1920s. Khrushchev and Soviet Socialism - Khrushchev and Soviet Socialism Term Paper looks at the reasons why Soviet socialism failed. The Kurile Islands - The Kurile Islands Research Paper delves into a half of century of dispute between Russia and Japan. Leon Trotsky - Leon Trotsky research papers examine the life of one of the leaders of the Soviet Revolution in 1917. Non-Agression Pact - Non-Agression Pact Research Paper delves into an order placed for an essay, and gives specific topics that should ne included in the project. Peter the Great - Peter the Great Research Paper goes into the history of this Russian ruler. Russia in 20th Century - Russia in 20th Century Research Paper deals with fall of Nicholas II and the Rise of Vladimir Lenin. Russian Revolution - Russian Revolution Research Paper looks at this revolution, also called “Bloody Sunday” as the first serious incident. The Russo-Japanese War - The Russo-Japanese war was the outcome of the territorial expansion of both the Russian and Japanese Empires that brought them into direct conflict over control of the Far East. Soviet Union - Soviet Union term papers examine the empire during the Cold War. Stalinism - Stalinism Research Paper explores the different political ideologies that involve Stalinism. Treaty of Kuchuk Kainarji - Treaty of Kuchuk Kainarji Research Paper discusses the treaty between the Ottomans and Catherine the Great. Warsaw Pact - The Warsaw Pact was created by the Soviet Union in 1955 as a direct response to the American-led military alliance of NATO. Paper Masters writes custom research papers on Russia and it's rich history.